SMPTE Hut - Nelco Media, Inc. Achieve Transmission Distances that are Simply Impossible Over Hybrid Copper/Fiber Cables. 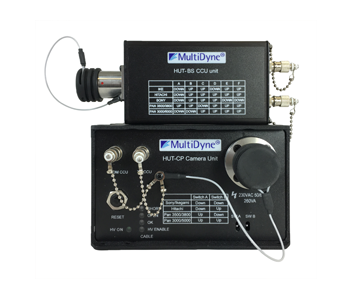 The new SMPTE–HUT system is a universal camera transceiver designed to free cameras from the limitations of hybrid cabling. Not only will you achieve incredible transmission distances, you will also benefit from the absence of RF, EMI and grounding issues, faster set and strike times and lighter OB Vans, B–units and cable shipments. This plug and play system can be used both as a passive, unpowered system where local power must be supplied to the camera head or as a powered system where the camera end device actually powers the camera head over up to 1000m of 9.2mm SMPTE hybrid cable. With either powering scheme, at the CCU end is a small adapter that accepts the hybrid cable from the CCU. Units can be located up to 10km part using two single-mode fibers either within tactical cables or within an installed fiber backbone. 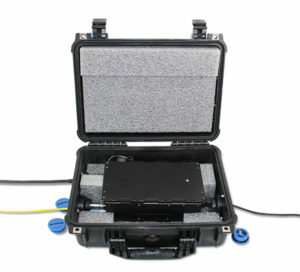 The system works by “tricking” the CCU into seeing a physical copper connection between it and the camera. And since the system is optically passive, the two fibers can be routed through our EOS–4000 Optical Router or CWDM multiplexed with our FS–6000 for up to three camera systems on just one fiber. The SMPTE–HUT system. Extend the range of your HD camera systems, reduce weight and save time and money. Designed and manufactured in New York.